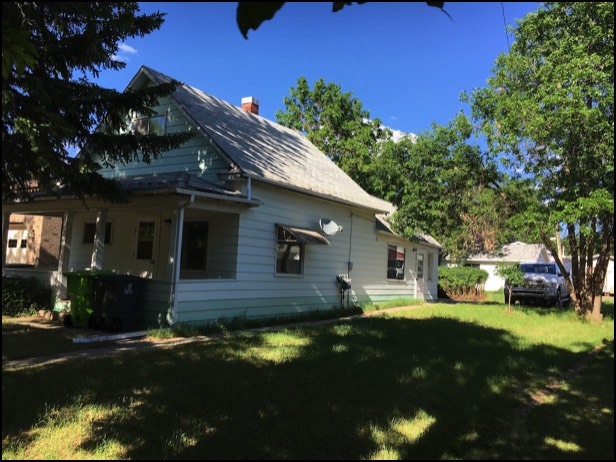 Perfect for seniors, as this is on a quiet street, with main floor living and mature neighbors on both sides. 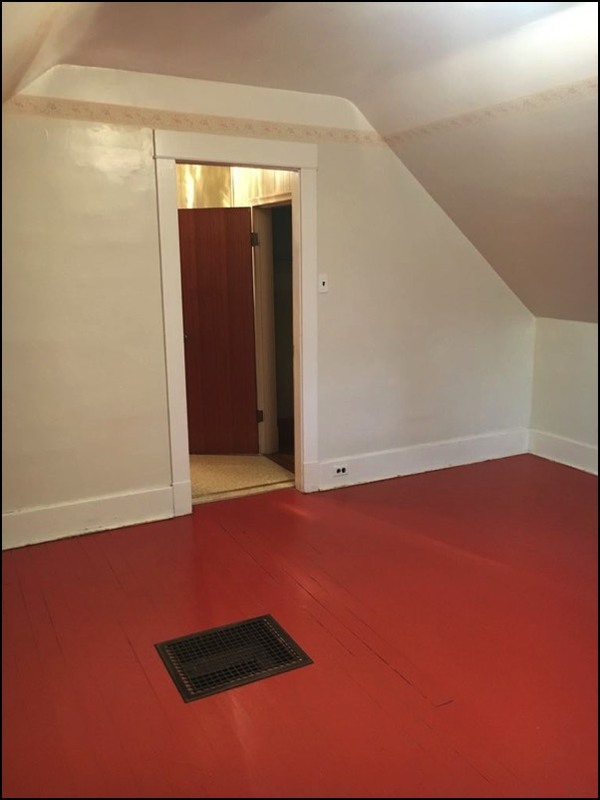 1083 square feet on two floors, plus large back porch with lots of closet space and room for deep freeze etc. 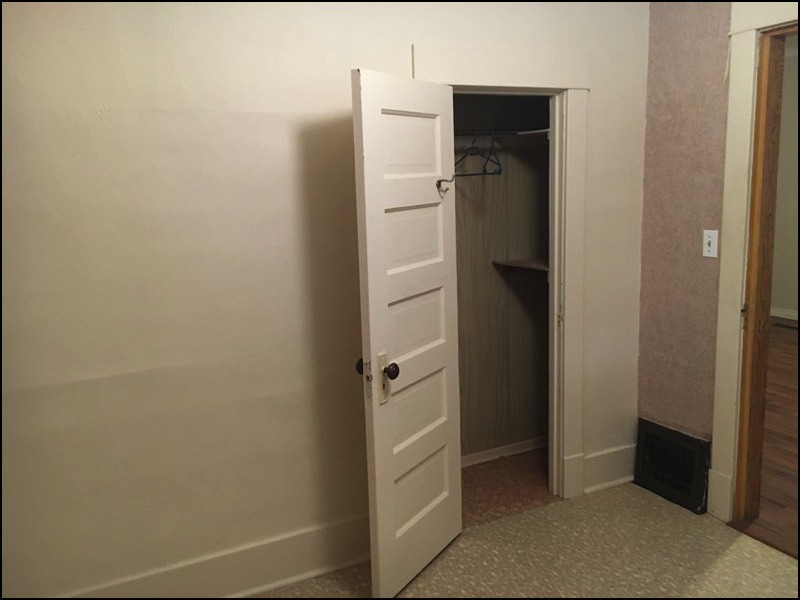 1 bedroom and laundry / bathroom as well as kitchen and living room on the main floor. Master suite with 16’ x 14’ bedroom, full bathroom and walk in closet upstairs. 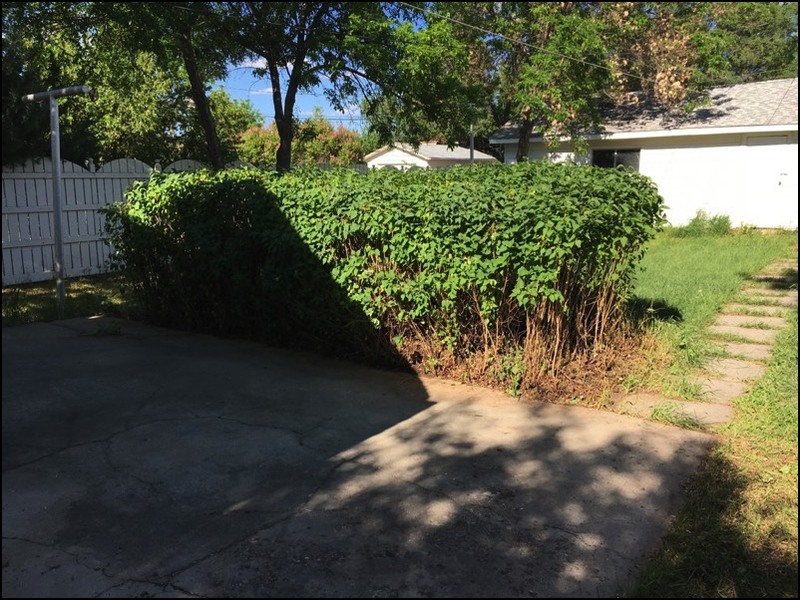 Large back yard fenced on two sides with lots of shade, concrete patio, clothesline, lilac hedge, and single car garage. Covered veranda on the front of the house. 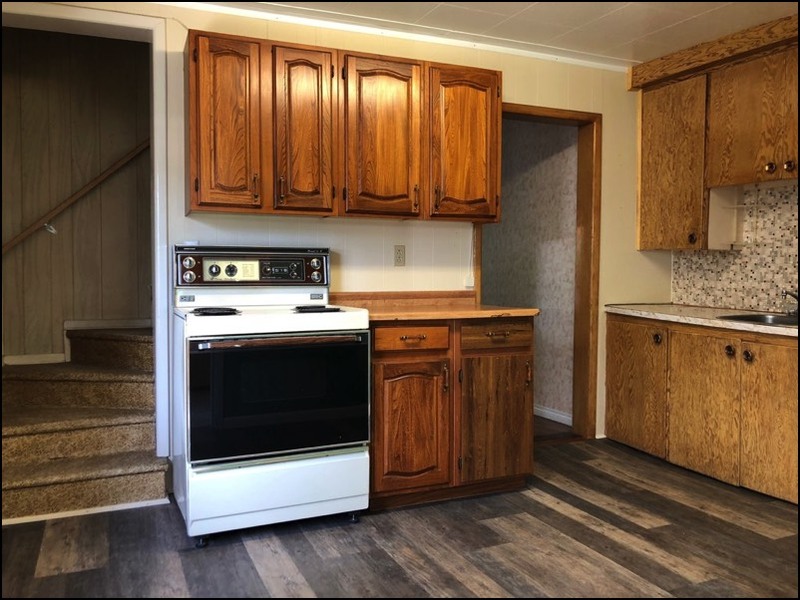 Includes washer, dryer, fridge and stove. 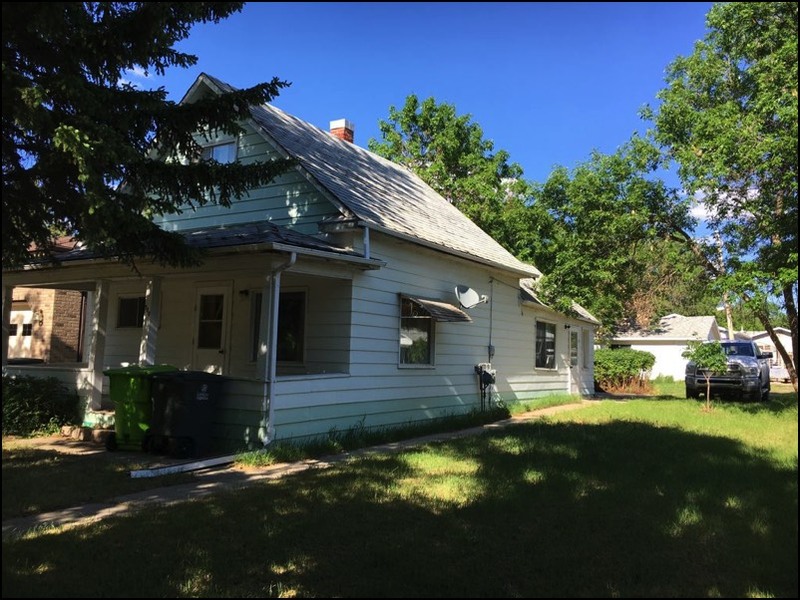 Quiet location close to Walter Aseltine School and Library. Short walk to downtown or swimming pool. 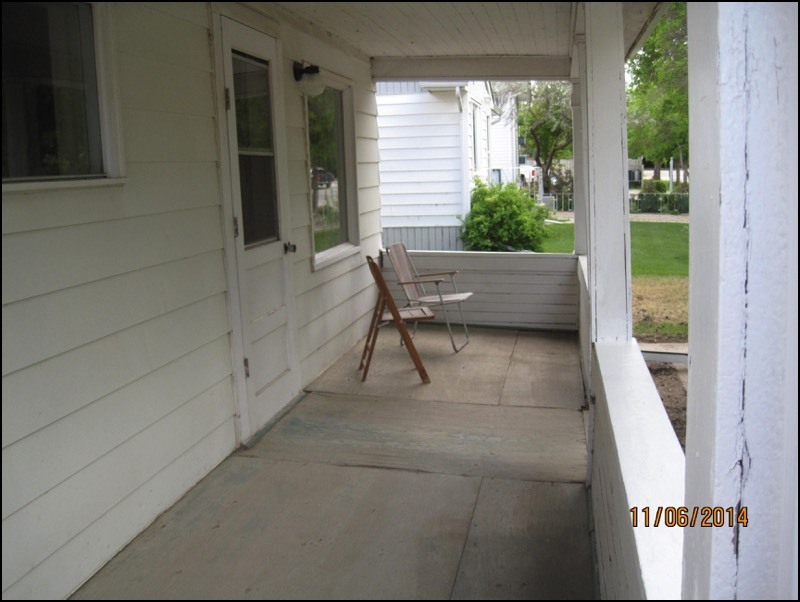 Tenant agrees to shovel the walk in the winter and mow the lawn in the summer. 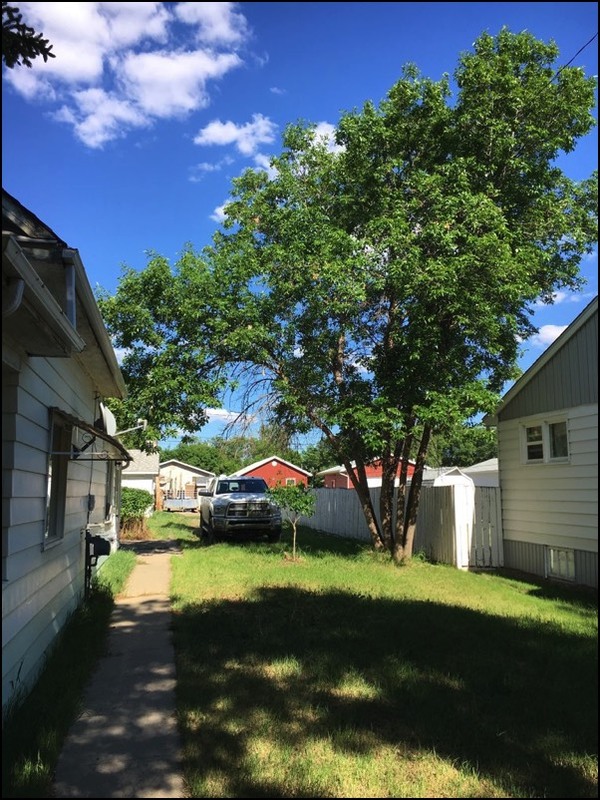 1 bedroom and laundry / bathroom as well as kitchen and living room on the main floor huge bedroom, full bathroom and walk in closet upstairs. Four appliances. 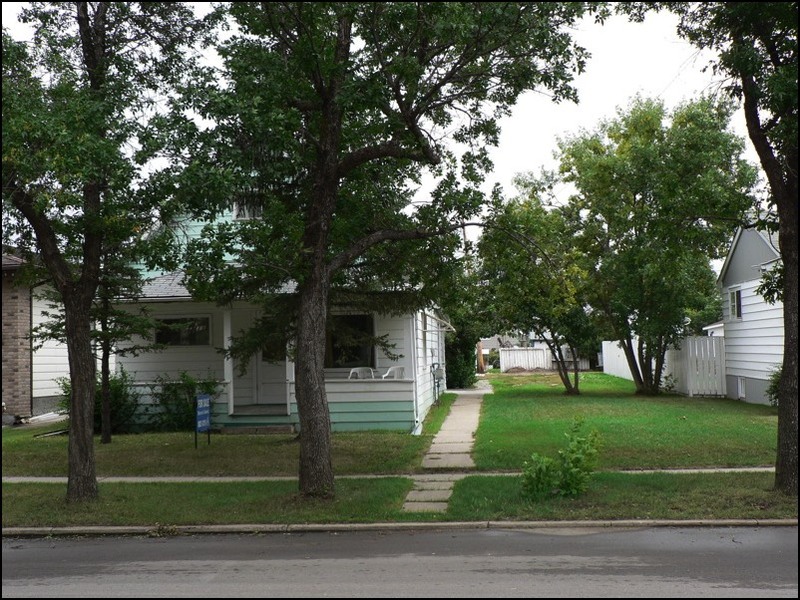 Quiet location near Walter Aseltine School and Library. Short walk to downtown or swimming pool. There is a veranda on the front of the house for shady evening relaxation. <-- 1 block north to the elementary school and one block south --> to the library. Kitchen gives access to upper floor. New vinyl plank flooring in kitchen. 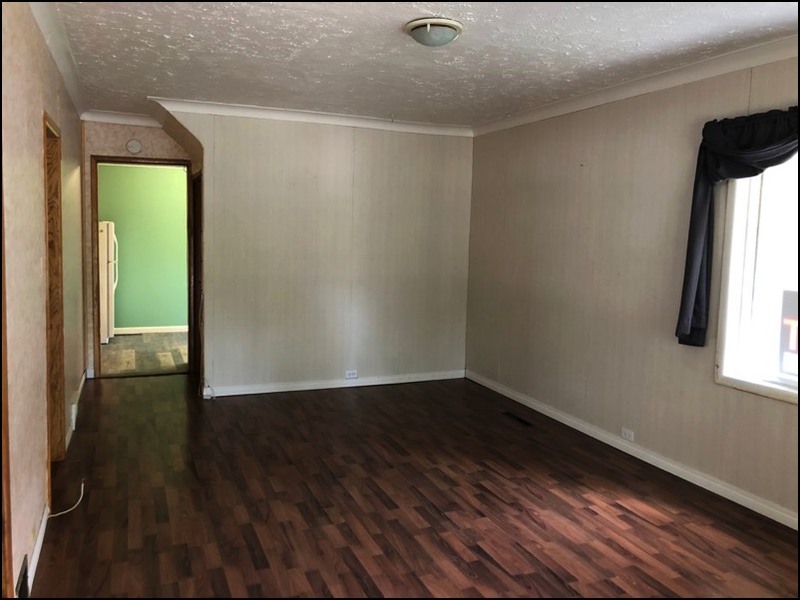 Living room has access from front street and two large windows to make this a nice bright room. 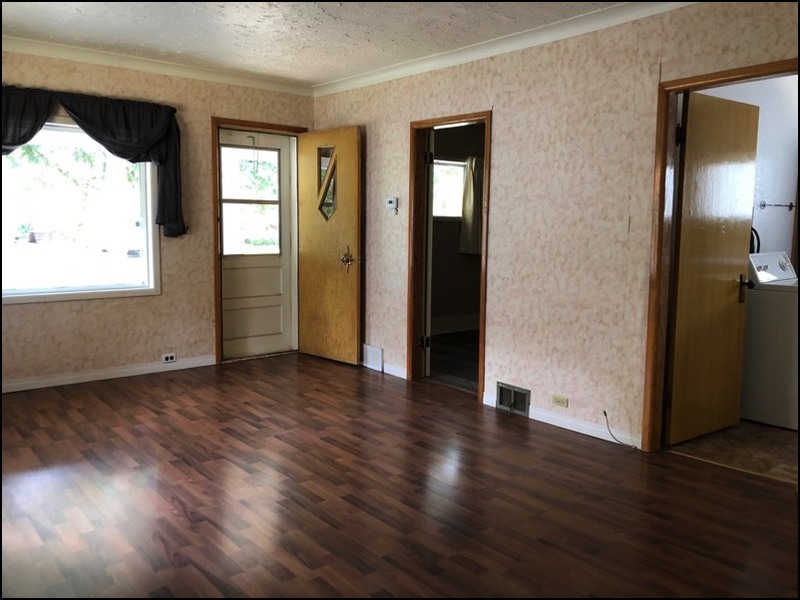 Durable laminate flooring in living room. 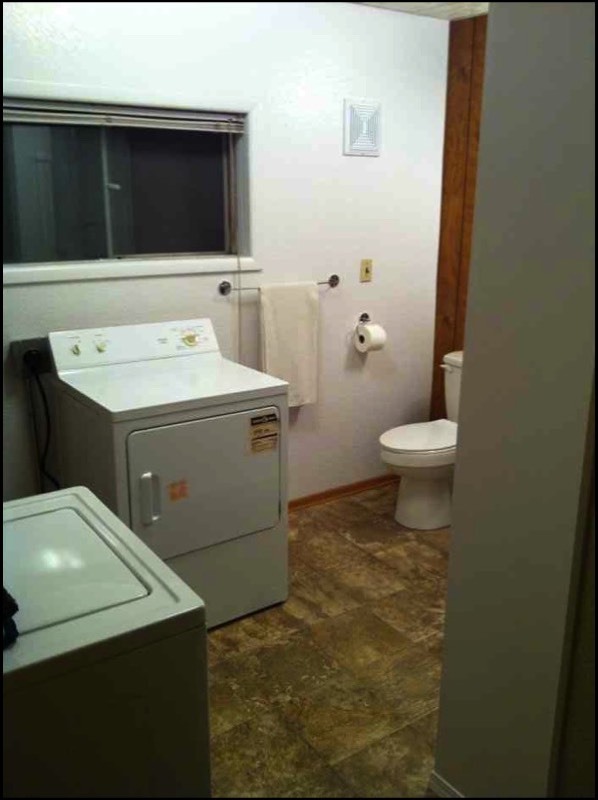 Spacious laundry / bathroom … it used to be a bedroom,. 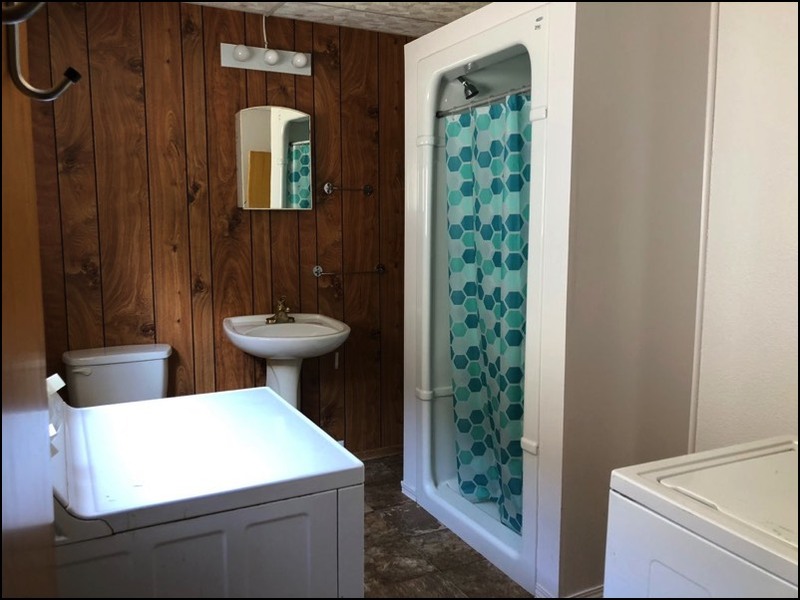 Main floor laundry / bathroom with large shower, toilet, sink, washer and dryer, and closet. 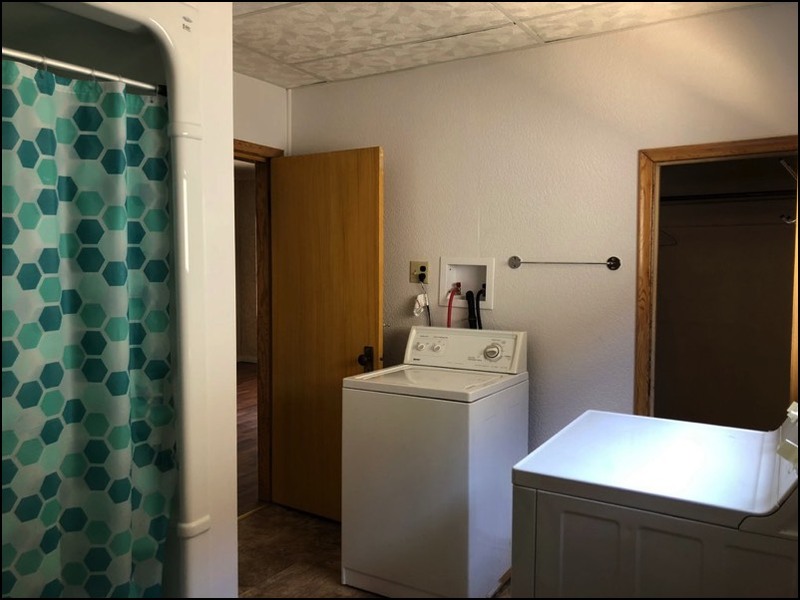 Another view of Main floor laundry / bathroom showing the closet. More handy shelving in laundry / bathroom. Main floor bedroom. 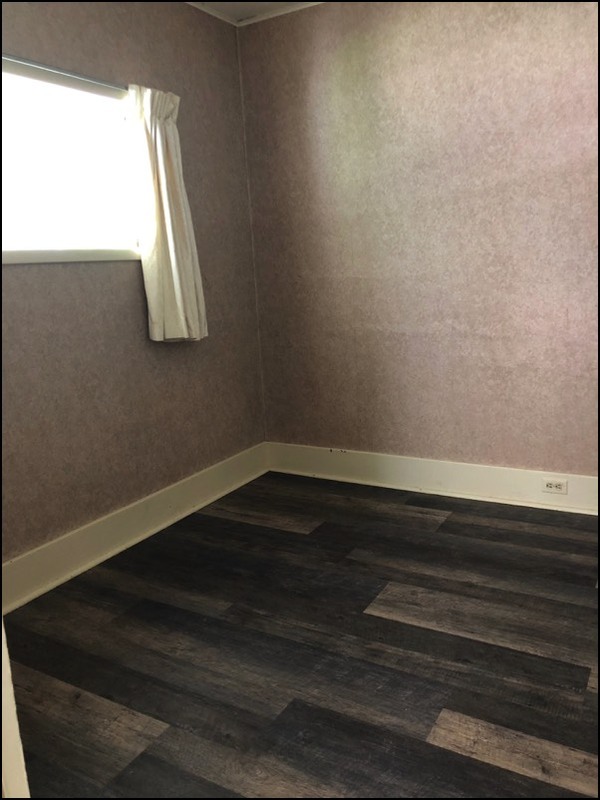 New vinyl plank flooring. This room faces west. 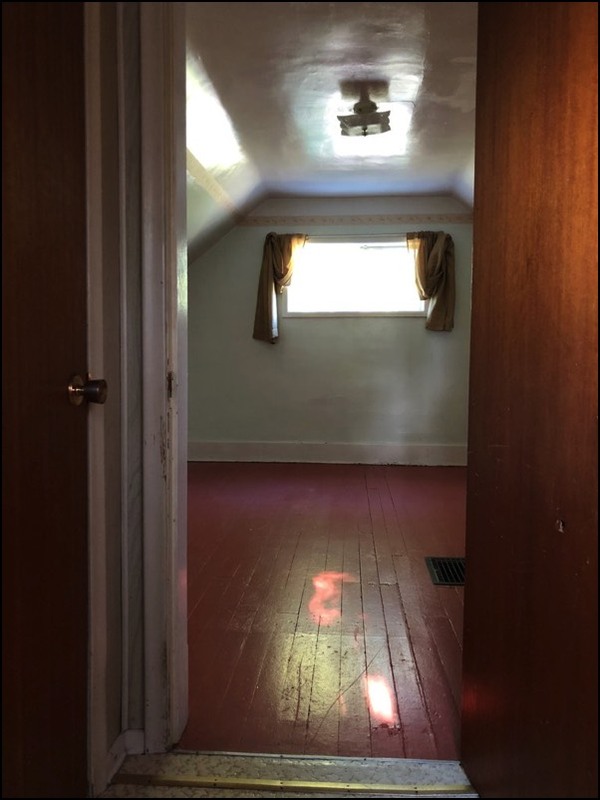 Large bedroom on upper floor. 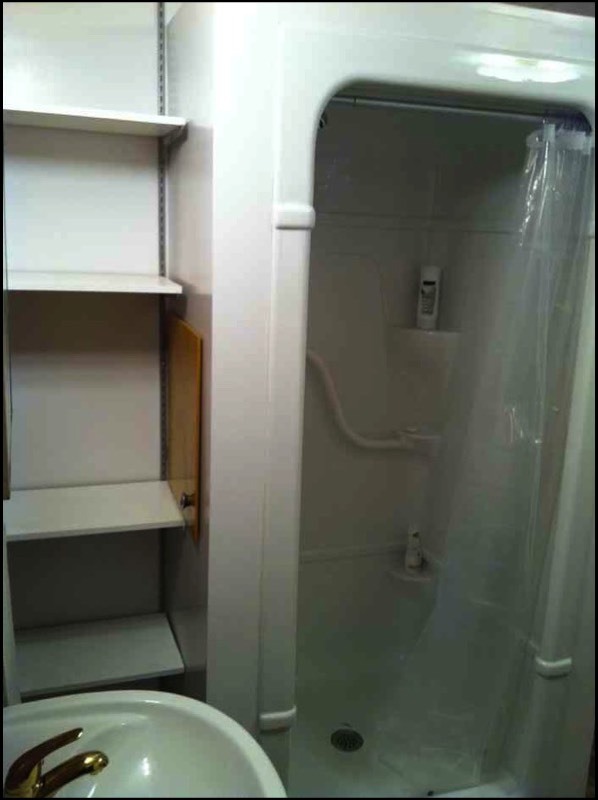 Also on upper floor is a walk in closet, and full bath with bathtub. From the upstairs bedroom, looking into the hallway and walk-in closet. 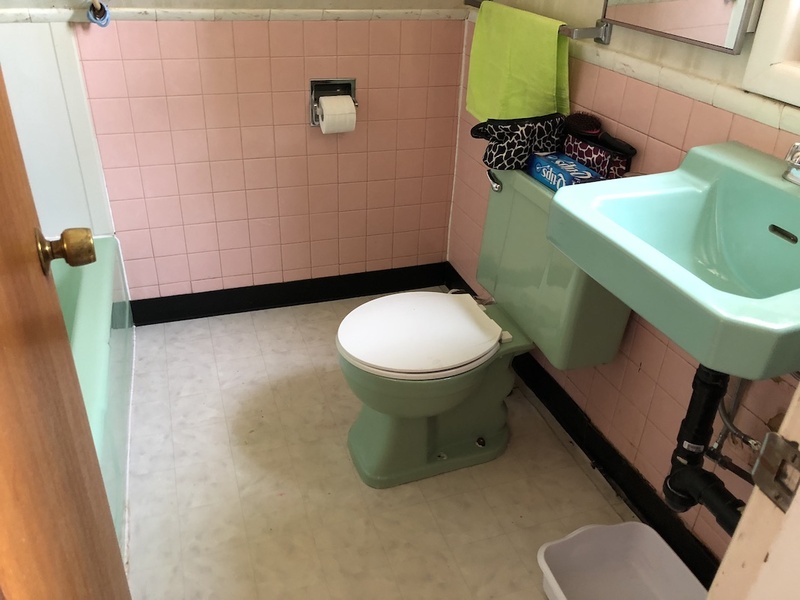 Upstairs bathroom in retro pink and green. 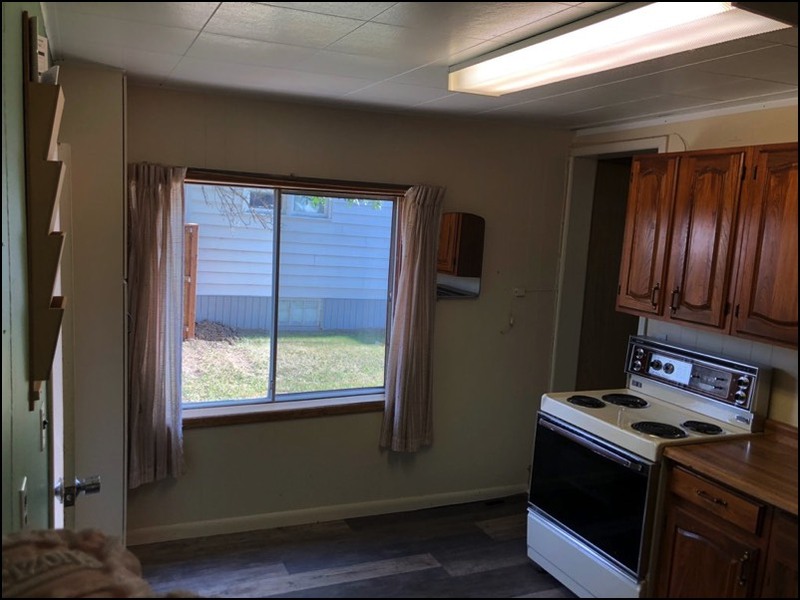 There is an opening window above the sink that looks into the back yard. 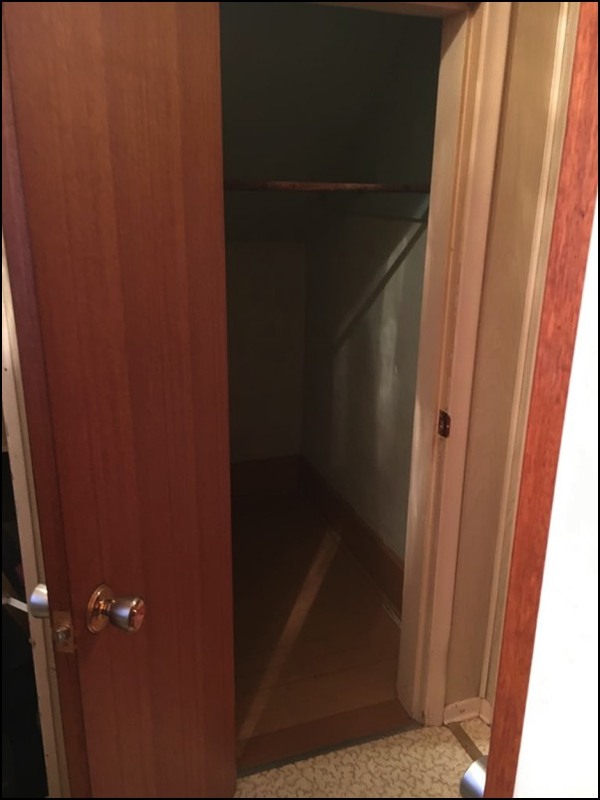 Large walk-in closet completes the master suite upstairs. Full length covered veranda on the front (west) side of the house. Quiet older, long time neighbours on both sides. Just moments away from Walter Aseltine School. 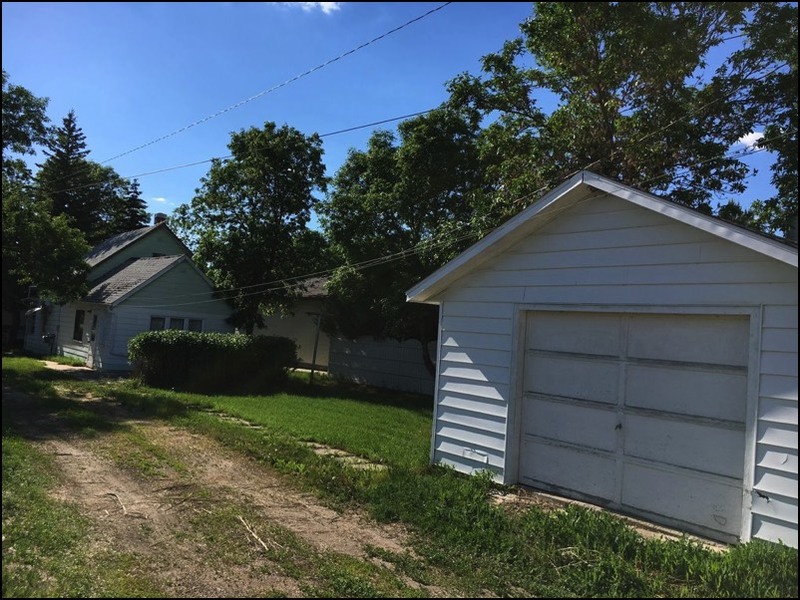 Back yard has patio, lilac hedge, fire pit, garage, and clothesline.